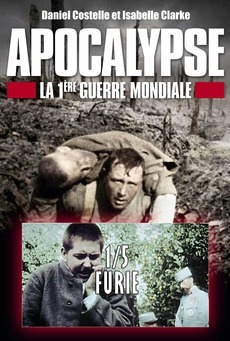 In collaboration with the Consulate General of France in Miami, and in order to commemorate the century of World War I, the Miami-Florida European Union Center of Excellence, and the European Student Association, will screen 5 historical documentaries of World War I entitled "Apocalypse - 1ere Guerre Mondiale"; The 1st episode will be "Fury"
Synopsis of Episode 1: "FURY"
November 11, 1918, 11am in the morning. Suddenly there is silence. Canadian soldier George Price, broke that one of the last killed an immense carnage that claimed nearly 10 million lives in the military 9 million civilians and 21 million wounded. How did we get here? What is the origin of this fury that will take over the world for four years? That will ruin the country and bring about the fall of empires? At the beginning of the twentieth century, Europe is still the Belle Epoque. But June 28, 1914 in Sarajevo of Archduke Franz Ferdinand, heir to the Austro-Hungarian Empire, was assassinated. The event, set fire to the powder of the old national and patriotic resentment of European monarchies. Large industrial prefer probably armed conflict in the latent rising from a working class. A few weeks after the attack in Sarajevo, Austria-Hungary declared war on Serbia and active so the game of alliances between states. The departure of the troops into battle is the mirror of a collective unconsciousness that think the war will be short and glorious. In August 1914, the Germans are not far from Paris. Their victory seems close, and enthusiasm becomes fear.